If you are currently living outside of the Winston priority area but your son or daughter plays an instrument or sings to a high standard you can apply for one of our 15 music scholarships. Auditions for these will take place in October. Students are required to perform one or two pieces of at least Grade 1 standard (the pieces do not have to be from a graded exam book), to complete a short aural test, and to give a short presentation about their musical experiences. Successful applicants will be informed of the decision to award a music scholarship before the secondary school application deadline. Throughout the year we give students the opportunity to perform in concerts and events at Winston and in the local area. 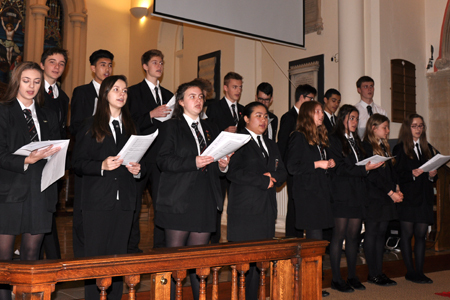 School-based performances include our Christmas and Summer concerts, our annual school musical production, our March recital evenings, our annual Christmas Carol Service, and our Young Musician of the Year competition. 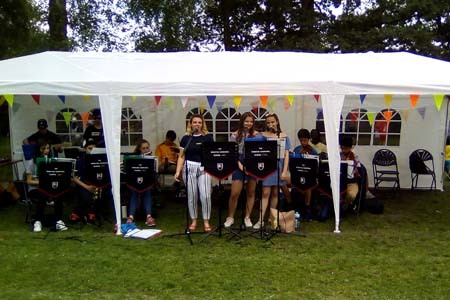 We also support local events such as the Woking Crematorium Carol Service, Brookwood Christmas Lights, Brookwood School Fete and the St John’s Village Fair. 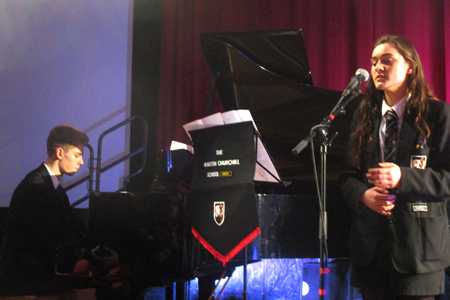 In addition we also give students the opportunity to perform abroad on our annual Music Tour. In recent years we have performed in Germany, Holland and Spain. We also have visits from professional musicians including The Band of the Royal Logistic Corp who will be returning to Winston in the spring to work with our students.